Headaches are not normal and can be complex to treat. They require special attention when it comes to developing a treating plan. 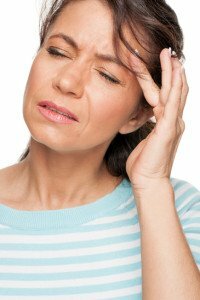 A thorough case history and tests must be performed to effectively help the various causes of headaches. One of the most common reasons people get headaches is due to an underlying problem arising from the cervical spine. Commonly joints are fixated, the trapezius and posterior cervical muscles are compromised and their may be a developing compression on the cervical nerve roots that radiate pain to the head. Commonly after proper treatment has been administered to the cervical spine, the headache will begin to decrease in both severity and intensity. Tension Headaches the most common type, it may feel like a constant ache or pressure around the head, especially at the temples or back of the head and neck. This headache don’t usually cause nausea or vomiting, and people are still able to function. People usually treated with over-the-counter treatments, such as aspirin, ibuprofen, or acetaminophen (Tylenol). Tension headaches are caused by the contraction of neck and scalp muscles in response to stress and strain, leading to possible changes in brain chemicals. Cluster headaches occur in groups of cycles and affect more men than women. They usually appear suddenly and are characterized by severe, debilitating pain on one side of the head. Symptoms are often accompanied by a watery eye and nasal congestion or a runny nose on the same side of the face. People often feel restless and unable to get comfortable; they are unlikely to lie down. Sinus headaches are associated with a deep and constant pain in the cheekbones, forehead, or bridge of the nose. Pain can worsen with sudden head movement or straining. Other sinus symptoms can be present, such as nasal discharge, feeling of fullness in the ears, fever, and facial swelling. Rebound headaches are commonly associated with the overuse of painkillers and anti-inflammatories used to treat headaches and in turn cause headaches. Culprits include over-the-counter medications like aspirin, acetaminophen (Tylenol), or ibuprofen (Motrin, Advil), as well as prescription drugs. Detoxing from drugs or coffee can also lead to rebound headaches.